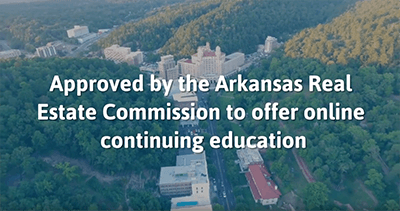 This topic examines the rules and regulations of the State of Arkansas along with the responsibilities of brokers, agency relationships and disclosures, and brokerage office policies. This topic addresses how to hold a showing that maintains the safety of clients and their property and the person carrying out the showing. This topic addresses the Pope County Bar Association case, how to avoid practicing law without a license, and how to use the proper forms and contracts. This course is broken up by six quizzes. Good material, easy to understand and use, least painful internet course I've ever taken, will use again! Everything was laid out to easily understand. The examples were excellent and you can learn a lot from this course because you have to work at it. Overall excellent. Finance part was the hardest, but I learned the most in that section.